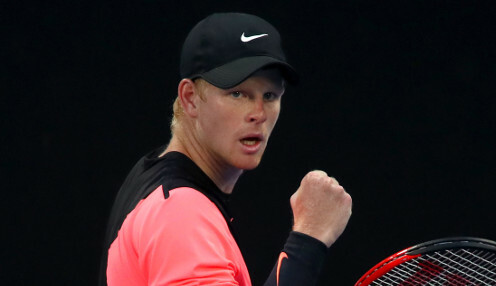 Edmund defeated Richard Gasquet 6-3 6-4 in the semi-finals, firing down 16 aces in the process. The world number 15 was beaten 6-2 6-2 by Pablo Andujar in his only previous final - in Morocco six months ago. "I served well. When I needed my serve it got me out of trouble and also got me some free points," said Edmund after his victory against Gasquet. Meanwhile, Monfils defeated Diego Schwartzman 6-3 6-4 in the other last-four clash and Edmund said ahead of Sunday's match: "Of course, I would like [my final experience] to be different this time. "But I can't think about the end result. I have to think about the process of winning a tennis match against a very good player." Monfils has won seven tour-level titles during his career with the latest coming in January at the Qatar Open. In their only previous meeting Monfils beat Edmund at last year's Wimbledon tournmament. "I am relieved to have been able to win this match in two sets," Monfils said after his semi-final triumph. "Luckily I could count on my strong first service." Monfils is 11/10 to win the final while Edmund can be backed at 8/11.